Ephesians 2:1-3 is a favorite text for Calvinists to defend the idea of Total Depravity and total inability. 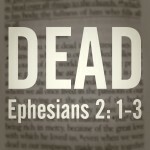 This post shows what Ephesians 2:1-3 means. If Paul really means that those who are dead in sin cannot believe in Jesus, then the rest of his argument in the chapter and the letter become meaningless and senseless. What does the word “dead” mean in the Bible? Does it mean non-existent or unable to act? No. 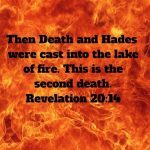 A good synonym for “dead” is “separated.” This study looks at the seven types of death in the Bible and shows how in every case, to be dead is to be separated. Those who are dead can still be quite active in various ways.